changes in the Immigration Laws & Policies. 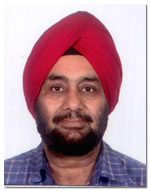 The Pillar strength existence of the organization is the result of the foresighted vision of our honorable Managing Director – Mr. Hardeep Singh Bedi, who completely restructured the functioning of Target Consultancy in terms of services and the field of specialization. Born & brought up in India, Mr. Bedi went to Australia for his higher studies in 1992. He studied his Bachelors of Business Administration at Deakin University, Melbourne and later pursued MBA in Marketing & Finance at Griffith University, Brisbane. 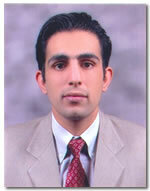 His father, Lt. Col. Satwant Singh Bedi (Ex – Chairman) initially founded the Company in 1993. After returning from Australia in 1999, Mr. Bedi by virtue of his extensive experience of 7 years of thorough studies and “hands-on” training in the field of marketing, reformed the entire organization of the Consultancy. Starting with Overseas Education (Student Immigration) in the initial years, Target Consultancy gradually expanded the periphery of its operation & services into immigration also. E- Logdement Access Facility Holders “Approved by the Australian High Commission & DIMIA” The Company has also been granted the E - Lodgement Access Facility by the Australian High Commission & DIMIA The major benefit of this authority is that the processing of the case takes very less time than usually taken. More importantly, it is for sure an achievement for our organization as only 55 Education Agents have access to E-Visa facility all over India. Being one of them is, of course, an achievement worth appreciation.